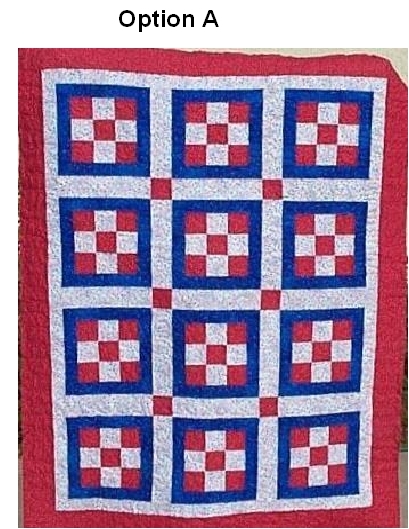 This pattern was originally written by Valerie Davidson, one of my online quilting friends, in 2007. 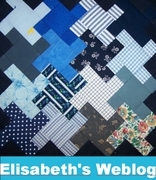 She has given me permission to publish her design and rewrite the pattern and share her quilt photo. 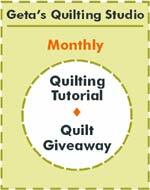 The quilt in Option A is Valerie’s quilt. 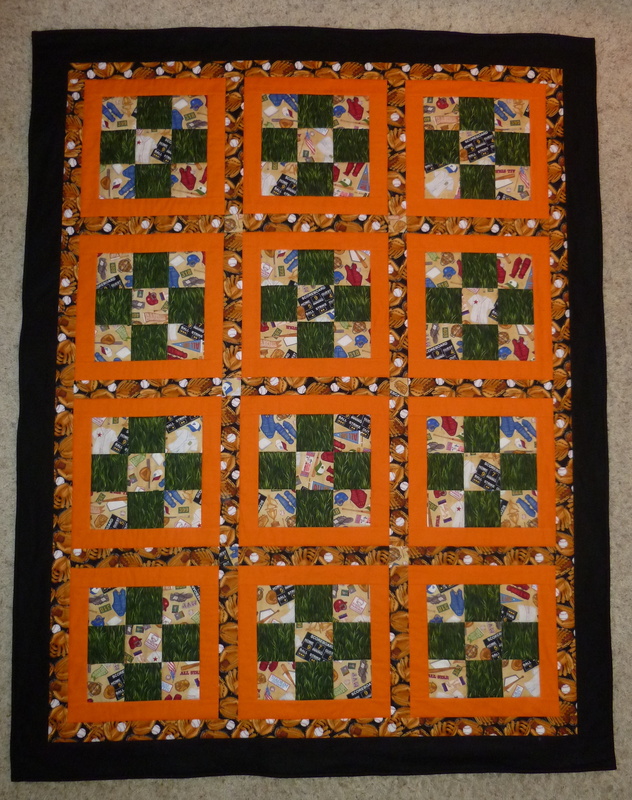 When I made the quilt (Option B) I modified it to add a simple, pieced border. 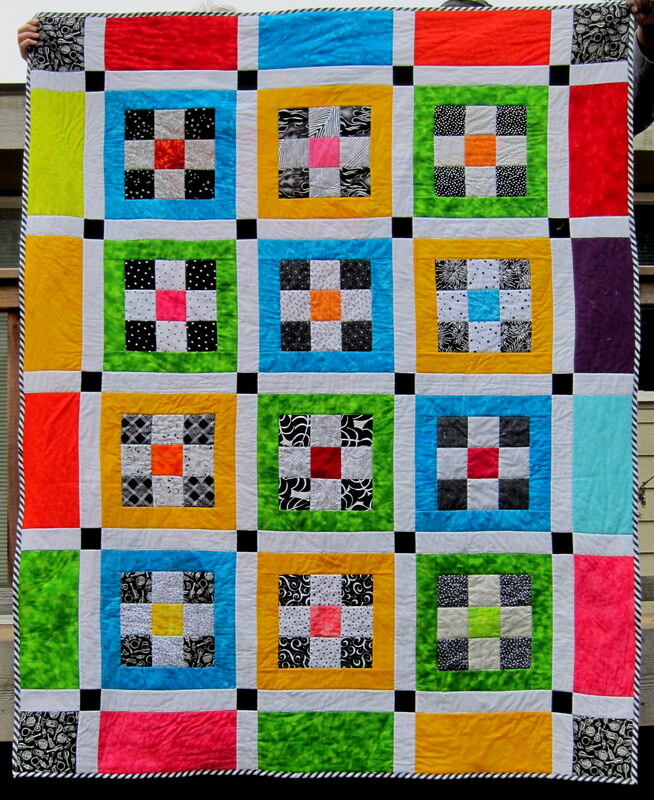 The blocks are scrappy and came from a group swap. 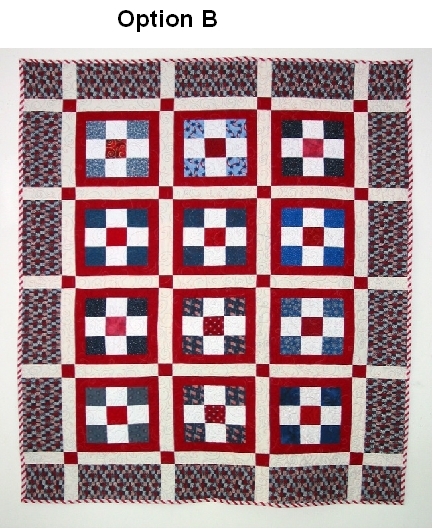 The photo below is a quilt made by Wayne Rhodes. 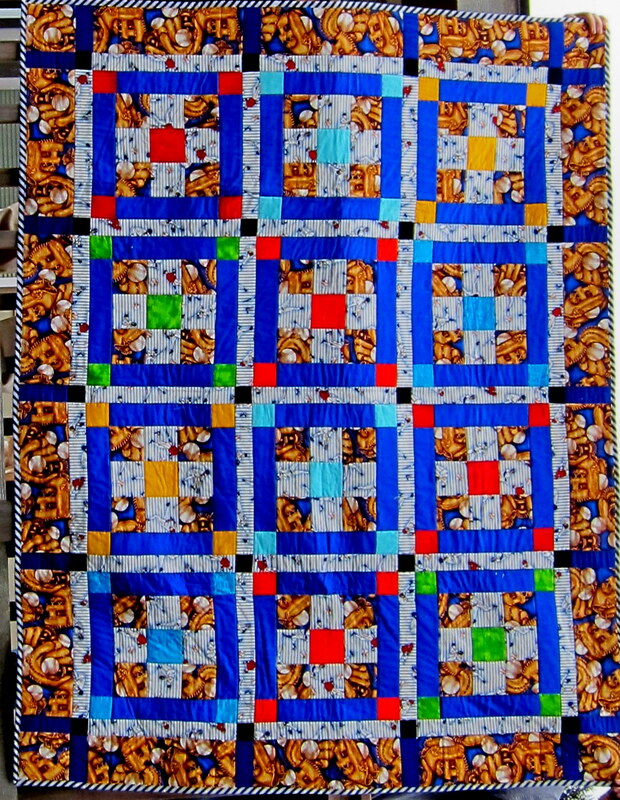 You can check out his blog and see many more gorgeous quilts.